Mark O’Shea is a herpetologist, zoologist, author, lecturer, and television presenter. He is professor of herpetology at the University of Wolverhampton and consultant curator of reptiles at West Midland Safari Park. He has made ten expeditions to Papua New Guinea since 1986. Between 2009 and 2014 he was deputy leader of a team based out of Victor Valley College, California, that was conducting the first herpetofaunal survey of Timor-Leste. O’Shea has hosted numerous television series focused on snakes for the Discovery Channel, the BBC, and ITV, including four seasons as host of the Animal Planet/Discovery Channel show O’Shea’s Big Adventure. He has also run a variety of herpetological field projects for the Royal Geographical Society, Operation Raleigh, Raleigh Executive, and Discovery Expeditions. 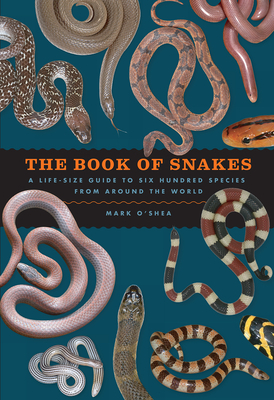 O’Shea is the author of five books, including A Guide to the Snakes of Papua New Guinea. He lives in Shropshire, England.